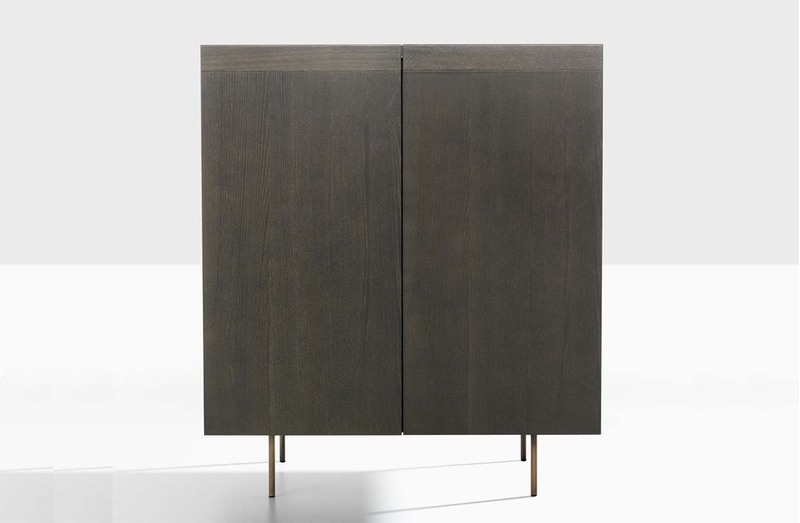 Two door cabinet with structure in ash wood, top surface in matching wood, lacquered glass, or marble, and base in bronzed metal. Available to order in numerous wood finish options. Structural wood finish: Beige aniline, biscuit, mocha, dark grey, wenge, or carbon. Top surface: Ash wood to match above, lacquered glass, matte or glossy carrara marble, dark emperador marble, sahara noir marble, or iron silver marble.